This name and date appears on the back of the mount of this carte de visite. Other clues to this soldier’s identity can be found on his forage cap: The horn indicates his service in the infantry, and the brass characters “E” and “44” his membership in Company E of the Forty-fourth infantry. He wears the uniform of Union enlisted man. Military service records list only one man whose name, rank and organization match the above information: James C. Worthley, who served as a private in Company E of the Forty-fourth Massachusetts Infantry. Worthley left the regiment in June 1863 after his nine-month term of enlistment ended. 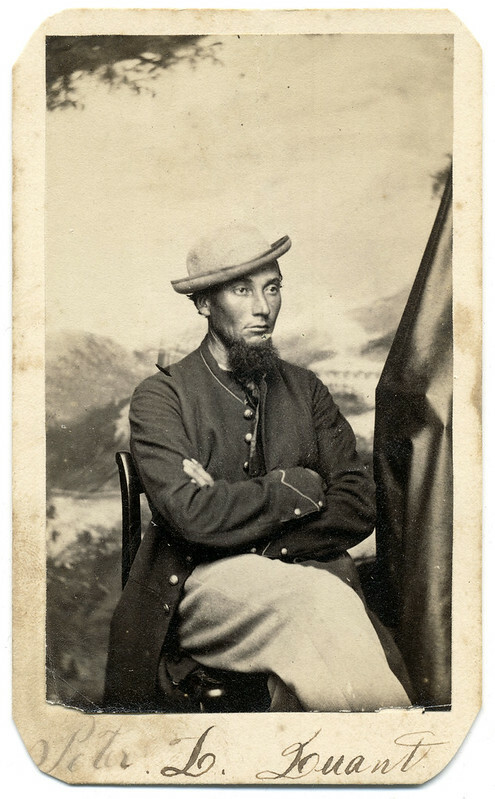 The date on this image suggests that this may have been the last (and possibly only) time he posed in the uniform of the Forty-fourth. The regiment had spent the bulk of its time in North Carolina. 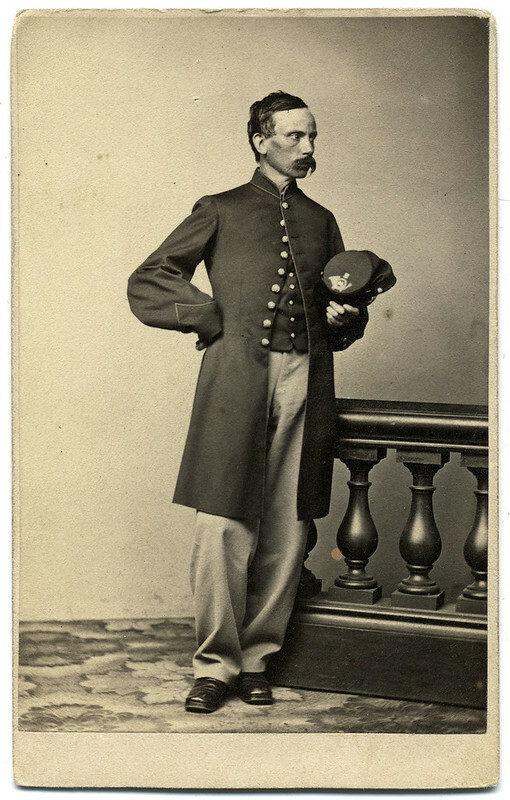 Worthley rejoined the army in the fall of 1863 as a sergeant in the Third Massachusetts Heavy Artillery, and served the remainder of the war in the defenses of Washington, D.C. A shoemaker in Boston prior to his military service, New Hampshire-born Worthley moved to Wisconsin at some point after the war. He died in Milwaukee in 1918.